That's us, below! I'm Jody and that good-looking guy is my other (sometimes better) half, Asad. We started our little business as a fun part-time venture in 2002, and it turned into a full-time real business in 2004. We began online and opened a retail store in College Park, just outside of downtown Orlando in 2008. We had the boutique until we moved to bigger digs in 2013 that holds our warehouse, office, and henna studio, but no boutique. This is were we still reside. That's me! I am co-owner of Beachcombers but I'm also a henna artist and instructor. I regularly teach henna workshops at our office and henna studio, and you can occasionally catch me teaching henna at conferences throughout the country. That's Asad. He is squeezed into the Mercury capsule at Kennedy Space Center. Yup, we are proud nerds! That's good for you, because it means you get items that we've done a ton of research about. We sell cool stuff. It's cool stuff that I had a hard time getting myself (as least in good quality) and that's why we now offer it. I do most of the designing of our products and then work with small family businesses in India, Pakistan, and Indonesia to have them made. No big factories for us! This allows me to be sure that we get high quality products that aren't just mass-produced junk, keeping things special and exclusive for you (and me!). We also offer tons of information about our items. Shoes come with break-in instructions, glass bangles come with instructions to put them on, and henna comes with an entire free Henna Learning Center section of our website. Khussa are also called juttie, jutti, or majorie, but are most often referred to as Indian shoes (even though they can be made in India, Pakistan, or China). I consider khussa shoes our signature item because it is the first product we were able to find a small family supplier to work with. We work closely with our shoe supplier to have our khussa made with top quality leather, which is very difficult to find in khussa shoes. Without quality leather, khussa don't break-in properly, can irritate your skin, develop a foul odor, and will only last a few times wearing them out. Our khussa mold beautifully to the shape of your feet and, with care, can last a long while. I even have khussa shoes 3 years old that I still wear, though I burn through most of them in far less time than that. Beachcombers khussa are made using well cleaned leather with real cotton stitching. Each shoe is completely hand done, including the intricate beading, sequin, and embroidered thread work. Style is a big factor in working with a small family supplier. We are able to custom design our shoes in colors and styles to make them exclusive. Ahhhh...talk about a hard to find product! I would guess that we have the largest selection of glass bangles (typically called Indian bangles or wedding bangles) in the United States. We keep over half a million bangles in stock with a selection of three different sizes; 2.6 Small, 2.10 Medium/Large, and 2.12 Extra-Large. Again, we work with a small family business in Pakistan for our glass bangles. One of our early large orders enabled them to build a third bangle oven, which was VERY exciting! Not only does that third bangle oven help us, but it's huge help to the local community of our bangle supplier. This allows them to produce substantially more product to help sustain a vibrant local economy. Our bangles are custom made for us in bulk, and then I create the actual sets from these bangles. Each and every set is hand created and checked to make sure there are no broken or cracked bangles. Beachcombers Organics is a line of tribal style fake taper earrings for normally pierced ears. They are made from natural materials including wood, bone, and horn. Organic earrings have long been a part of traditional tribal piercing and have made their way to the USA in the form of gauged body jewelry and stretched lobes. Now you can get the look without have to gauge or stretch your ears! Our organic earrings fit normally pierced ears. Our master carver, Wayan, has a small art shop in Bali. He is a master carver and his wife is a painter. Wayan designs and carves our earrings along with his shop of apprentices, thus helping keep this traditional ethnic craft alive. All materials for our Organic Earrings are responsibly harvested. The wood comes from trees specifically grown to encourage modern Indonesians to keep older handi-craft traditions alive. The bone and horn come from Domestic Water Buffalo. Much like Native Americans, Indonesians try to use every part of an animal rather than waste anything. This accounts for the use of horn, bone and hides in so much of traditional Indonesian art. Henna or mehndi is all about knowledge, and when I started doing henna, I had none! That's why I make sure you have plenty of knowledge when you buy henna products from Beachcombers Bazaar and Henna Supply. I wrote a henna booklet that includes complete instructions, the basic components to a henna design, 90 henna designs, and much more. You can also purchase henna design eBooks. Many of our customers do not have much experience with henna, so I created easy to use beginners kits at a variety of price points to help get you started. Henna is a very personal thing, and everyone has their own preferences. 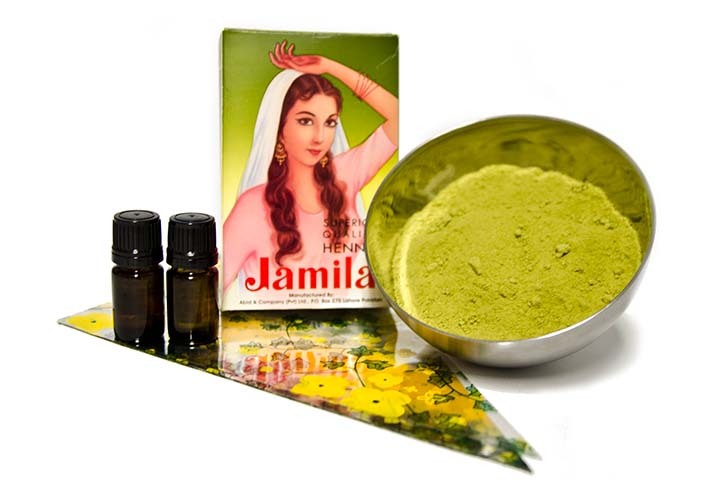 Our starter henna kits allow you to learn and get the tools/accessories you need to do henna. Once you know what you like, you only have to re-order henna refill kits. Clever, don't you think? Anyone can learn how to do fabulous henna! Our free Henna Learning Center has all the information you need for DIY henna tattoos. Thank you so much for helping make our Christmas special! The item I ordered for my wife arrived on time, just as it was described. And best of all - she loved it! I am about to place another order for henna for my hair. Your henna is the best I have ever used. Walked into a salon yesterday and hairdresser commented on my beautiful highlights. Thank you for providing the best quality henna I have ever used. Just started offering henna on top of my face painting services and this company's website has been such an asset! Every question I run into I've found an answer and the quality of the henna itself is wonderful! I've been very happy.